Travel day so not alot exciting happening. 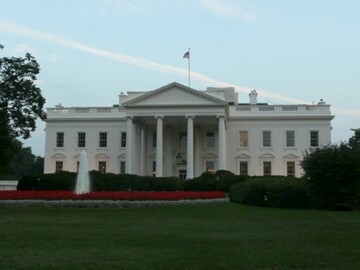 We travelled to Washington DC by train and are staying at the most amazing hotel. It is soooo swish. The lobby is huge and has a Christmas display that Rockefeller Centre would be proud of. We went on a DC by night tour, visiting the Jefferson Memorial, FDR Memorial, Lincoln Memorial and Korean and Vietnam War Memorials. They had a ceremony to light the tree on the Ellipse that night as well and we were able to stop when the ceremony was finished and go and see the tree (the First Family lit it earlier in the evening). It was amazing to see all the memorials lit up at night and when we got back to the hotel, we showed how out of place we are at this hotel by walking in with a pizza and fried shrimp when people were leaving from a function here, dressed like they were going to the opera! !